With three young children and an office job, it can seem overwhelming to find some time, any time at all, to pursue our own dreams. Finding the time is a difficult balancing act and for me, it is the most delicate aspect of training. And definitely the most difficult part of a hectic 11 session a week training programme. Don’t give up what you want most for what you want now! I dare to dream. Once I have found the right challenge, if I want it bad enough, I will manage to find time to train. I am so disciplined and use every opportunity I have to train. I don’t spend any time lazing around and I don’t watch TV, purely because I prefer to train instead. I never find an excuse to postpone a training session to another day (except if I’m injured). Most people find excuses not to train. I’m the opposite, I find excuses to train every day. Training hard is all about motivation. I have to be very focused with my training. Before each training session, I know exactly what I want to accomplish and how I will do this. 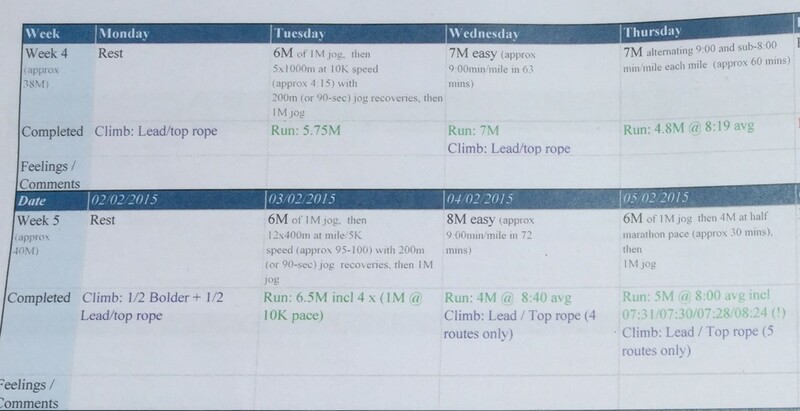 On a weekly basis, I take the time to write my training programme and prepare a detailed plan for each session. If I’m not sure what to do in each session, I just ask for help. For example, I used a running coach for a whole year to help me prepare for my first ultra-race (with the added bonus that she’s now a great friend too!). I want each session to be the best quality training it can be. It’s too easy to lapse into junk miles. Each session is a precious opportunity, so I don’t waste it. Getting the most out of every one is key. I plan ahead and with 3 little ones in tow, I’ve learnt to become better at planning. 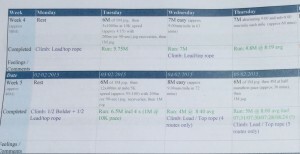 On a weekly basis I look at my schedule and come up with a plan to fit my training in. If I need someone to look after my little ones so I can train for an hour or two, I make sure I book it in ahead of time. This minimizes the risk of last minute surprises. When I am planning my training for the week, I’m not shy to include early mornings and late evenings. For my long run, it is quite common for me to get up early on Saturday or Sunday, and run in the dark with the moonlight and a head light. It’s a very special experience to be surrounded by the dark and the silence. I love it! And I’m back just in time for the children’s breakfast and the return to the noise and chaos of our house. Switching it up, on some weekdays I climb late in the evening when the children are asleep. 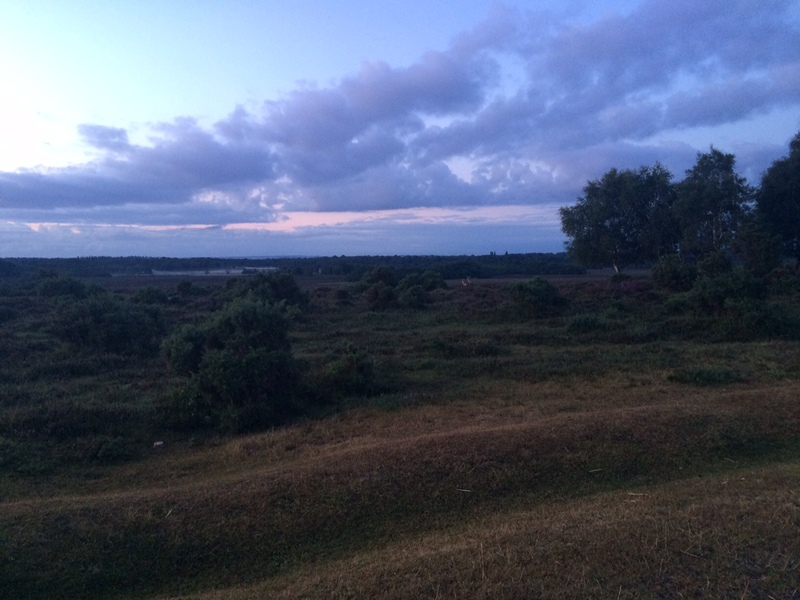 Evening run in the New Forest, UK. 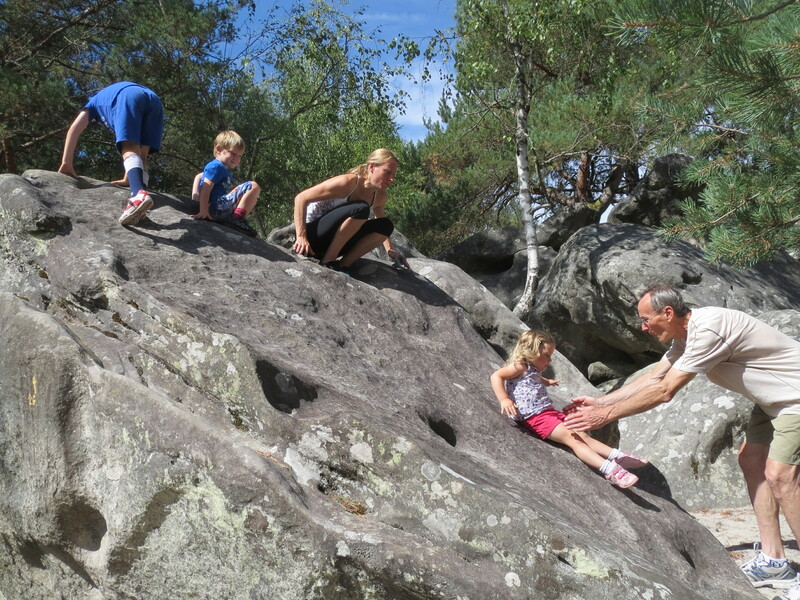 On my active recovery days, I often go for a gentle swim, walk in the forest or bike ride with the children. They are all great opportunities for me to join in with the children and loosen up my muscles (not to mention keep the children happy)! 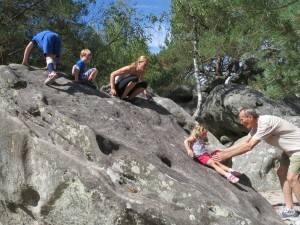 When we go bouldering, I go with other adults and we ensure the children get a turn to climb too. After an hour or so they’re tired and I can start my real training session. My little climbers feel included and we’ve done an activity together. It’s taken me a long time to convince everyone around me how important sport is to me, but I think we’re there now. I have a great network: my wonderful husband, parents and in-laws and friends who look after our little ones whilst I compete. The children love coming to competitions, they soak up the atmosphere and are already taking part themselves! For the most part, climbing however does require me to train with a climbing partner (even though there is still a lot of training you can do independently). Over time, I have found some brilliant climbing partners (who have become also great friends!) who have similar schedule constraints to mine, so we’re managing to coordinate our training. I have a few simple pieces of equipment at home which allow me to do some training on the days when I didn’t manage to fit in a proper session. I do some strength and conditioning at home in the evenings when the children are asleep. I only use two free weights and sometimes a swiss ball. 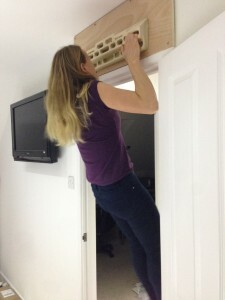 I have a fingerboard installed over a doorframe, which I use weekly to train for my climbing. I also have a small climbing frame on the garage (kindly built by my Dad – thanks Dad!) which I use to train when I can. Finally, on the days when my training just falls through, I try not to get too disappointed! Tomorrow is another day and a new opportunity. I remember to enjoy my training as well as the life around it. They’re all part of the journey!